There’s many reasons to inspect your house for mold. Many Los Angeles and Orange County houses have water and dampness issues that cause mold growth. This can affect the value of your home when selling it and also can be a bargaining point for buyers when looking for a deal. 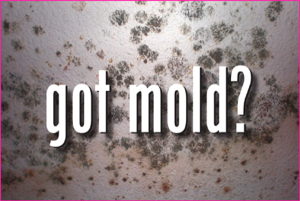 If you currenty have visable mold growing in your home arrange an inspection right away. The sooner the mold is detected the easier it will be to remove. When left untreated for long periods of time it will become more difficult to get rid of. It’s best to check locations that are not easily seen by the naked eye like attics and basements. All it takes is a little bit a time, a water problem and some dampness and you have mold growing. This can lead to problems with breathing for sensitive people it also can get quite serious and lead to more problematic health issues. There is some types of mold growth that is not as toxic to you in fact you get exposed to many types of less toxic mold on an almost daily basis. With something as serious as inspecting for mold in your Los Angeles home you should always hire an expert to inspect your property. Licensed and certified mold inspectors know all the best spots where mold growth may be present. A professional will also be able to detect water and moisture problems that are the leading causes for mold growth. Besides knowing where to look a professional mold inspector uses the latest techniques and hi tech equipment like infra-red inspection, borescopes, moisture meters & hygrometers to inspect the hidden places like inside walls where mold may be located. With experience comes knowledge and a expert can literally smell the air in your home and know if you have a problem. When having a certified mold inspector ckeck your Orange County house or Los Angeles home you can feel safe knowing that if your house has a mold problem it will be found.